To be a safe out there we need room to maneuver. Never ride close behind other riders, this is called “Tailgating”. When you ride too close behind other riders you restrict their ability to move. This is not only bad manners, it is also very unsafe. When the person ahead needs to jump or turn or move their kite, they are restricted, You might also be riding in their blind spot and they will not see you until too late. Give people ahead of you enough room to maneuver, do not get into their comfort zone. If you need to overtake you must give them enough room on all sides at all times. Good riders anticipate the needs of others, Good riders can read the traffic and anticipate when another kiter needs more room to move, examples to turn or to jump. Example; you are following someone toward the beach, of course, they are are going to turn, so back off and turn first. Stay separated; A good rule of thumb is to spread out and separate riders by 2 kite line lengths when riding. To be a safe kiter you must know your limits. The first step is knowing everyone has limits, and that bad things happen when you push too far beyond them. This means that you should not try to learn totally new tricks way above your skill level (especially in strong gusty wind). Instead know what tricks/skills you have fully mastered, then try the very next small step up if you want to avoid risk and injury, and learn in light wind first. It is almost cliche to say “don’t push your luck in strong wind”. When you know your limits you can expand and improve on them in a controlled manner. When you disrespect your own limits you put yourself at risk, and maybe other people too, because you will be having more severe crashes more often, and you are basically rolling the dice every time you do that. The best way to raise your limits is to get a lesson from a real instructor, who can provide a systematic approach, that is risk managed, then you acquire new knowledge and skills without unnecessary risk. Whenever you are about to jump, you must look first to see if the area is clear. Never jump if someone is in your landing zone. Never jump over people or put other people at Risk. You must also be able to read the on-water traffic and anticipate where people will be when you land. 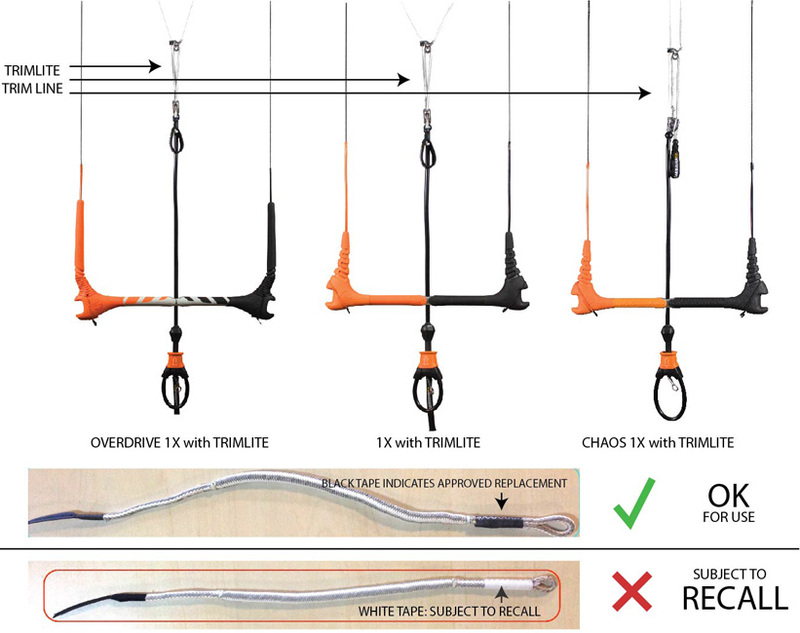 Be responsible when kiting and Kite Safely. Do not be a reckless kiter always riding out-of-control. Real skill comes from experience and knowing your limits. Always keeping safe distances away from people for when you do lose control and crash, which you ultimately will. There is Never any reason to put other people in danger. Remember: Look before you jump, and do not jump when people are near you. Remember that our real engine is the Earth’s atmosphere, and the clouds in the sky tell us a story of what is happening in the atmosphere. Keep your eye on the Sky at all times for changing clouds, aerial debris, or anything unusual. Severe weather is often preceded by changes in clouds. The best way to deal with severe weather is to avoid it. Watching for early telltale signs can help you to get off the water before dangerous conditions arrive. Kite Pro-Tip: Avoid Shallow Water: Remember that what lies under the water is easily hidden. Shallow reef or rocks can lurk inches beneath the surface, so always be aware of your location and situation. You may accidentally get into shallow areas and then cannot get out easily. Problems can occur when you hit the reef at speed, not only can it cause injury, but gear damage and reef damage as well. If you do not know where the problem areas are, then ask the locals, or the lifeguards. NeilPryde is expanding its one-design program into kite racing with the introduction of CR:X, the world’s first one-design kite racing class. CR:X is an innovative, versatile kite racing platform that features a convertible board that can be switched between fin and foil modes. Multiple modes mean that the same set of hardware can be used for beginner or more advanced foil races or in changing weather conditions. Our mission is to create a community of kite racing enthusiasts of all levels and abilities and enable them to race on a level and affordable playing field. CR:X delivers on this promise through a one-design pathway Class where athletes can compete on affordable, matched equipment. After all, it’s the athlete that makes the difference. 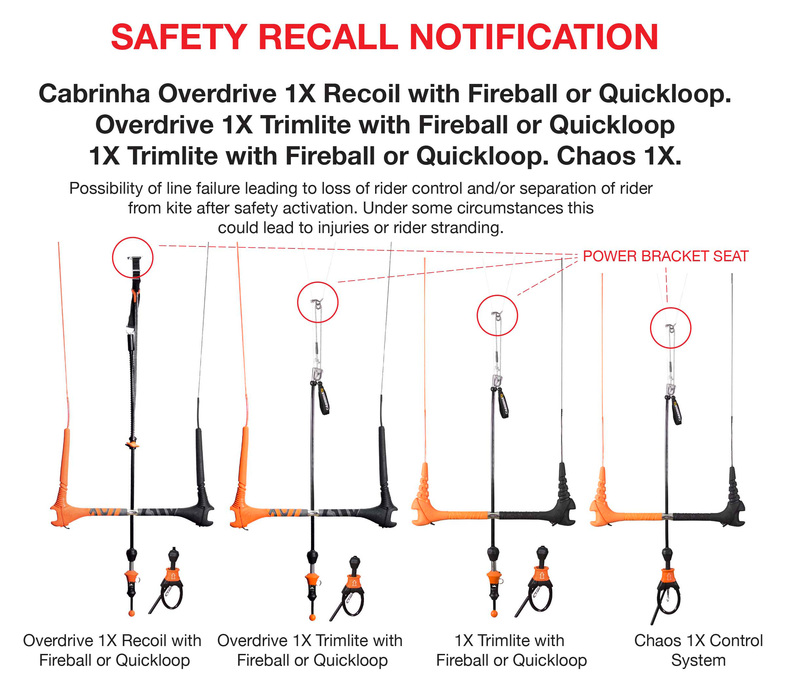 The product recall is being conducted in cooperation with the U.S. Consumer Product Safety Commission. This problem is limited to a small percentage of the 2016 control systems manufactured before August 10, 2015. Consumers can send an e-mail to support@cabrinhakites.com or call Cabrinha at: +1 808 8930286 from from 9:30 a.m. to 4:00 p.m. Hawaii Standard Time, Monday through Friday or online at www.cabrinhakites.com.